The weather is getting cooler. The blankets are coming out. However, we are not the only ones cooling off. Animals are also wanting “blankets!” Birds, squirrels and other animals are in nesting season to prepare for the winter. They are busy gathering leaves and pine needles to make their home for the winter. Do not let your home be a place that they nest! They find openings and get into your attic or garage. 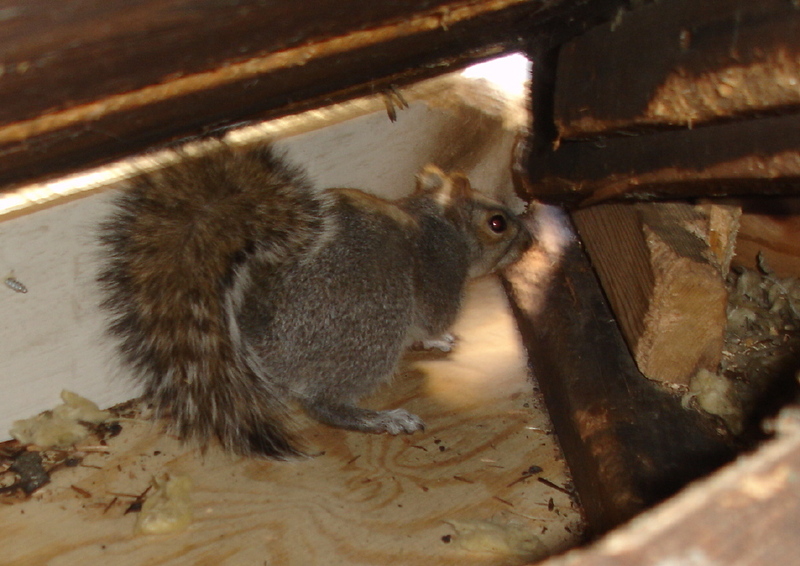 They love the insulation in attics, it provides a warm home for them. So, protect your home from the nesting! Walk the perimeter of your home. Check for any opening in your soffit vents or spacing between boards. Seal up any openings to prevent animals from squeezing through! The garage is pretty hard to fully close off, but just be aware of nesting signs. Do you notice any leaves or debris in your garage? Do you see any tracks? Do you notice anything shifted around? A professional can remove animal nests safely. These are some tips to protect your home this winter! The Houston summer heat wasn’t too bad on us this year. However, the heat is still hard on our homes. Do you want to be prepared for next summer? I recommend looking into radiant barriers. Radiant barriers are installed in homes, usually in attics, primarily to reduce summer heat gain and reduce cooling costs. The barriers consist of a highly reflective material that reflects radiant heat rather than absorbing it. So, how does it work? When the sun heats a roof, it’s primarily the sun’s radiant energy that makes the roof hot. The hot roof material then radiates its heat energy onto the cooler attic surfaces, including the air ducts and the attic floor. A radiant barrier reduces the radiant heat transfer from the underside of the roof to the other surfaces in the attic. Some studies show that radiant barriers can reduce cooling costs 5% to 10% when used in a warm, sunny climate. A radiant barrier’s effectiveness depends on proper installation, so it’s best to use a certified installer. Not only does radiant barrier reduce the heat that enters your home, it also adds value to your home. It also adds appeal and is a selling feature because we are all looking for ways to make our homes more energy efficient and cool. If you would like to discuss buying or selling a home in Houston, feel free to call me at 281-582-3925. You can also email me at slandreth@heritagetexas.com.